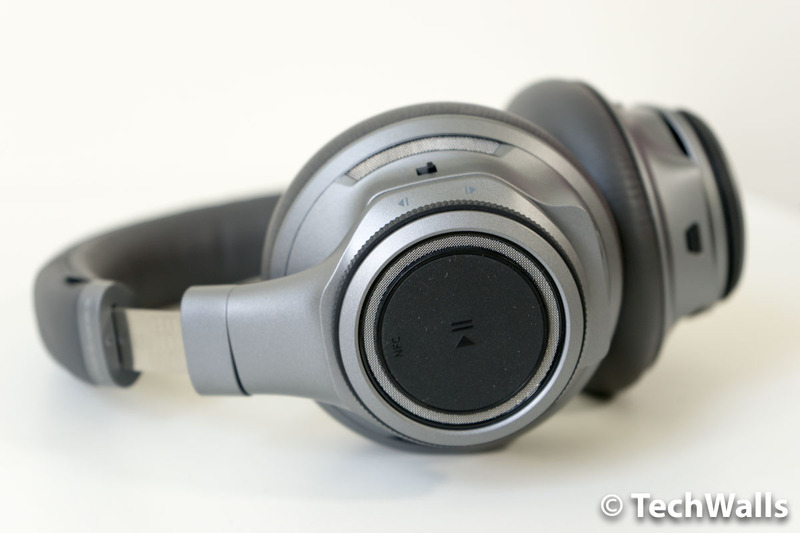 Plantronics is a manufacturer well-known for high-quality Bluetooth headsets. They tried to expand their product range with some wireless headphones but the endeavor was not that successful. 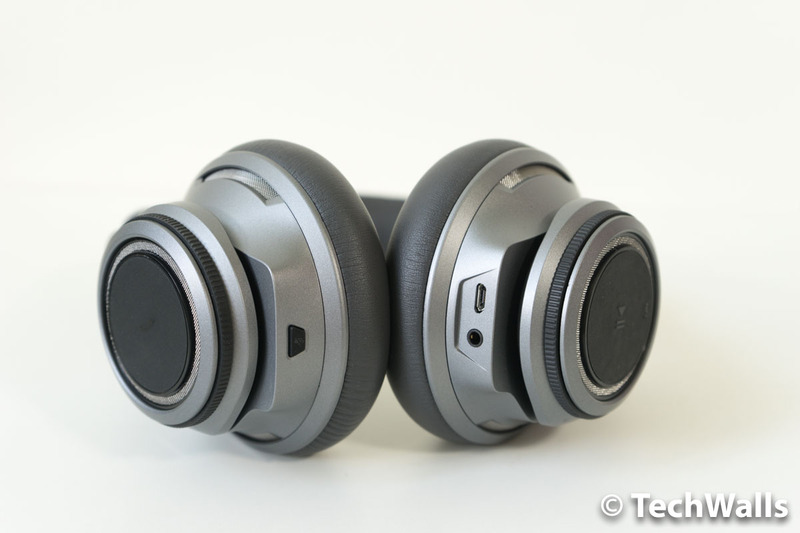 The Plantronics BackBeat PRO+ is one of their high-end wireless headphones, let’s see if they can compete with the others. 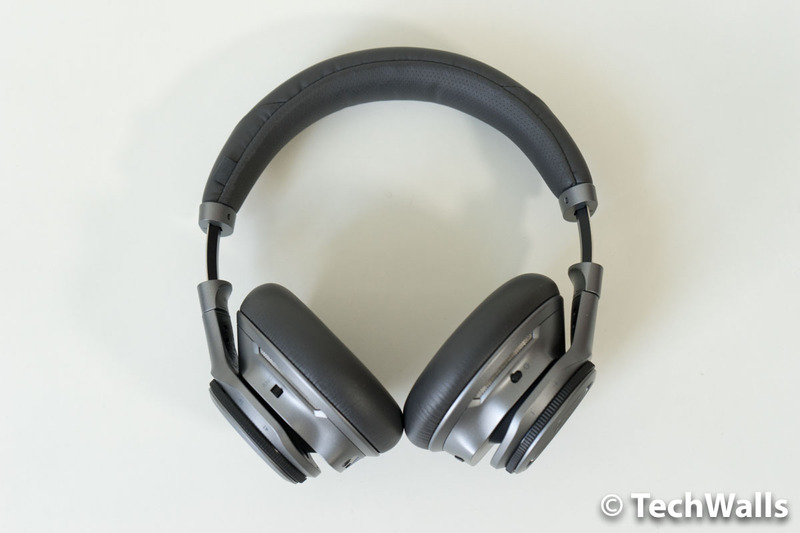 Before unboxing the Plantronics headphones, I didn’t expect these are a premium product but they should be on a par with other headphones at the price range. Unfortunately, I was so disappointed when I took them out of the box. The product comes with all common accessories like a 3.5mm audio cable, a microUSB charging cable, a carrying case, and a USB adapter. However, the headphones themselves feel very cheap. Apart from the metal headband frame, almost all of the exterior is made of plastic. I thought this is to reduce the weight but the headphones are not really lightweight. Plantronics put all controls on the earcups. On the left side, we have a play/pause button, a dial to skip tracks, a noise-canceling switch, a 3.5mm audio port, and a microUSB port. On the right side, there are a mute button, a phone call button, a volume dial, and a power switch. I love that the headphones can be folded flat for better storage. Besides, they will pause music/video automatically when I take them off and then resume when I put them on my head again. The padding on the earpads and headband is quite soft, so I can wear the Plantronics for about 30 minutes without hurting my ears. The problem is that my ears still get sweaty even in short sessions. Obviously, these are not really comfortable for extended music sessions. The battery life of the BackBeat PRO+ is quite good. I turn off the active noise-canceling feature most of the time, and they could last about 15 hours. 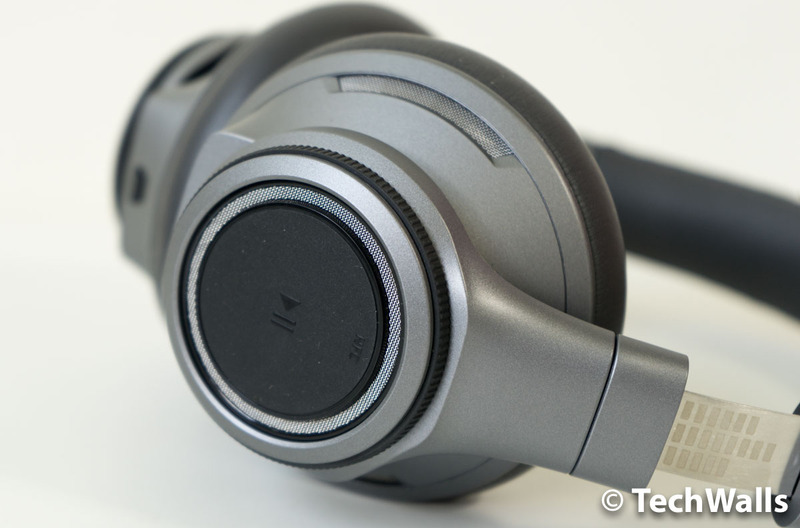 The design and build quality of the Plantronics were a disappointment, fortunately, the audio quality is not that bad. The headphones sound different to my previous ones. It features a V-shaped sound with a significant boost on the lows. Therefore, you will be able to hear an overstated bass response. The bass is not as muddy as on cheap headphones, but I still find it overwhelming after a while. The treble is pretty clear, therefore, the sound is not as dark as I expected. The only concern is that the mids are laid back notably, so audiophiles will find it annoying when they want to hear more details in the vocals or instruments. I also tested the noise-canceling feature but it’s nowhere near the performance of Bose QC headphones. Besides, the sound feels like being processed heavily. Those are the reason why I turn it off all the time. All in all, the Plantronics BackBeat PRO+ couldn’t earn my recommendation because everything is just average with the expensive headphones. There are a lot of better choices from more well-known manufacturers at the same price range.